It takes a special artist to excel in the fiendishly difficult arias that are central to the landscape of Baroque and early bel canto opera. 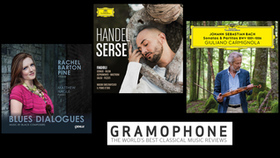 Franco Fagioli owns the necessary combination of technical agility, tonal variety and vocal range required to triumph in works that leave countless other countertenors perplexed. The Argentinean-born singer's astonishing artistry has been acclaimed by critics worldwide and regularly attracts capacity audiences eager to hear a performer blessed with an uncanny ability to deliver the spectacular runs, leaps and turns of even the most difficult virtuoso showpieces. "Fagioli is an utterly beguiling interpreter, both in … big display pieces, where his vocal athleticism is staggering, and in slower, more intimate numbers," noted the LondonGuardian in its review of his recording of arias written by Nicola Porpora, the famous 18th-century singing teacher and composer. Reviewers elsewhere have praised the countertenor's "legendary suppleness", his "prodigious agility, three-octave range and vast array of vocal colours", and "quick-fire coloratura and audacious plunges". Small wonder that he is ranked among the finest of today's singers, increasingly in demand at the world's leading opera houses, concert halls and festivals. Over the past decade he has worked with conductors of the highest calibre, Rinaldo Alessandrini, Gabriel Garrido, Nikolaus Harnoncourt, René Jacobs, Marc Minkowski, Riccardo Muti and Christophe Rousset among them. He also collaborates regularly with Il pomo d'oro and Riccardo Minasi. Franco Fagioli was born in San Miguel de Tucumán (in northern Argentina). He received piano lessons at the Tucumán Music Institute and progressed to study singing, first in his home city, then at the Superior Art Institute, the training academy of the Teatro Colón in Buenos Aires. The impressively accomplished young performer's career breakthrough came in October 2003 when he won the Bertelsmann Foundation's 10th "Neue Stimmen" International Singing Competition. Fagioli soon confirmed the exceptional nature of his talent with a series of major operatic debuts. He took the title-role with great success in Handel'sGiulio Cesare for Zurich Opera in 2005 and has since filled Caesar's shoes in productions staged by Norwegian National Opera (2007), the Handel Festival Karlsruhe (2008) and Finnish National Opera (2012). In 2007 he made his debut at the Salzburg Whitsun Festival under Riccardo Muti and received a rapturous reception (the Neue Zürcher Zeitung enthused about his "sparkling performance") on his return there in 2014 – at the invitation of Cecilia Bartoli – to perform a programme of virtuoso arias written by Rossini and Meyerbeer for Giambattista Velluti, the last great castrato. At the end of 2010 he joined Cecilia Bartoli for concerts in London and Brussels and has worked with her frequently since, notably in the world premiere recording of Agostino Steffani's Stabat Mater. Fagioli's versatility and virtuosity were on full display in 2012: at his Salzburg Summer Festival debut he showed the rich lower regions of his voice in the demanding role of Andronico in Handel's Tamerlano. In the autumn, meanwhile, he astonished audiences and critics alike with his performances in Nancy as Arbace in Leonardo Vinci's Artaserse, a role conceived for soprano castrato which he subsequently sang at several major European venues, including Versailles (having already recorded it on CD and DVD). The following year, he captivated the music world with the album Arias for Caffarelli ("… the ease and almost superhuman agility with which he attacks some of the big bravura numbers are simply staggering", commented The Guardian). The works featured on the album, originally written for the Italian star castrato Caffarelli, were regarded by many as unsingable. 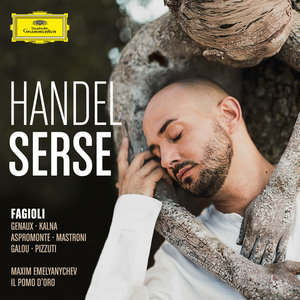 In recent years Fagioli has appeared on a succession of complete opera albums, including the world premiere recordings of Hasse's Siroe (as Medarse) and Vinci's Catone in Utica (as Caesar) for Decca, and Caldara's La concordia de' pianeti for Archiv Produktion. In July 2015 Fagioli became the first countertenor ever to be signed by Deutsche Grammophon. Their new relationship will bear its first fruit in September 2015 with the release of Gluck's Orfeo ed Euridice and develop in 2016 with the release of an album of solo arias. Fagioli made his United States debut at the beginning of 2010 with a triumphant performance in the title-role of Cavalli's Giasone for Chicago Opera Theater. "Sensational countertenor Franco Fagioli … his sound is sweet yet full, and his suave, macho manner makes believable Jason's devastating effect on women," observed the Chicago Tribune. "We are living in a new golden age of countertenor singing, and Fagioli is one reason why." At the Karlsruhe Handel Festival, where he appears on a regular basis, Franco Fagioli received rave reviews for his interpretation of Ariodante in 2010. In 2014 and 2015 he starred there in the title-role of Handel's Riccardo Primo. His reputation as one of today's finest Handelians was reinforced by outstanding interpretations of roles such as Poro for the Halle Handel Festival, Teseo at the Stuttgart Staatsoper, and Bertarido in Rodelinda for the 2010 Festival della Valle d'Itria at Martina Franca. The latter, which launched a fruitful partnership with the conductor Diego Fasolis, prompted Italy's L'Opera magazine to name Fagioli as "Singer of the Year". In 2011 he became the first countertenor in thirty years to receive Italy's highest award for music, the Premio Abbiati. At the end of 2014, Fagioli made his debut at the Royal Opera House, Covent Garden in the role of Idamante in Mozart's Idomeneo. His 2014/15 season continued with performances ofCatone in Utica, presented on tour with Riccardo Minasi's ensemble Il pomo d'oro at Wiesbaden and Versailles. The production will be revived at the Bucharest Festival and Vienna's Theater an der Wien in September 2015, prefacing a season in which Fagioli is set to join Il pomo d'oro for recitals at Wigmore Hall in London and Prague's Rudolfinum. In 2016 he will return to Cecilia Bartoli's Salzburg Whitsun Festival to appear as Romeo in Nicola Antonio Zingarelli's Giulietta e Romeo.